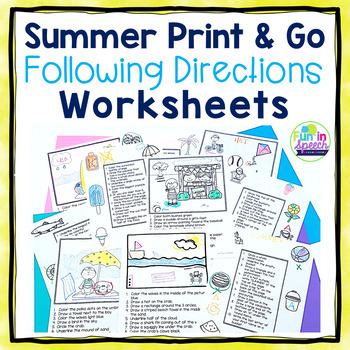 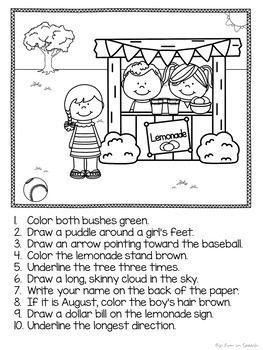 These summer themed following direction worksheets are a great NO PREP resource to get you through the entire summer or extended school year! 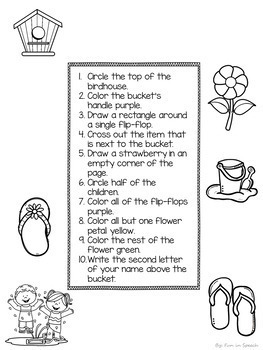 - Included in this activity set are simple and complex directions that include spatial, quantitative, descriptive, and conditional concepts. 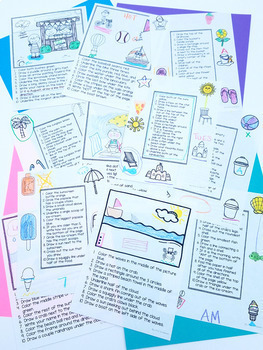 - There are 10 worksheets with 100 stimulus items!